The pools and match schedule have been announced for the HSBC USA Women’s Sevens in Glendale, the new opening round of the HSBC World Rugby Women’s Sevens Series 2019. 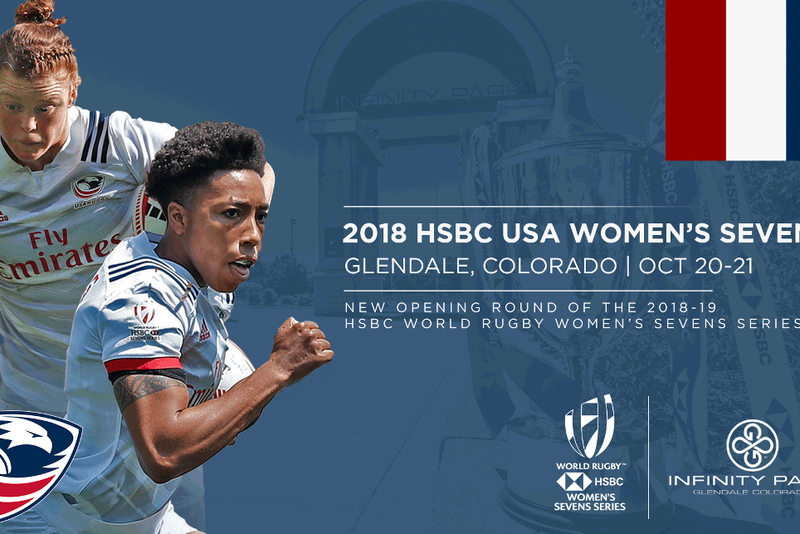 Hosted at Infinity Park in Glendale, Colorado, from 20-21 October, the HSBC USA Women’s Sevens features the 11 series core teams and invitational team Mexico. With teams returning to action for the first time since Rugby World Cup Sevens 2018 in July, the stage is set for a thrilling weekend in Colorado with the HSBC World Rugby Women’s Sevens Series the first step on the road to the Tokyo 2020 Olympic Games. Defending series champions Australia will face Russia, Spain and Mexico in Pool A.
Rugby World Cup Sevens winners New Zealand are joined in Pool B by hosts USA, returning core team China and England. France and Canada, who finished third and fourth respectively in the 2018 series, take their place in Pool C alongside Fiji and Ireland. World Rugby Chairman Bill Beaumont said: “With the addition of Glendale, the women’s series increases to six rounds this year, in line with our ambitions to provide more high-quality competition under the wider Women’s Plan 2017-25. “With the world series also acting as principle route for qualification for Tokyo 2020, we expect this season to be more competitive than ever as teams compete for a place at the Olympic Games. Tickets for the HSBC USA Women’s Sevens 2018 tournament are one sale now via USAwomens7sGlendale.com.